Two golfers from the highly regarded sports scholarship programme at the University of Stirling have been selected by the R&A for the Great Britain and Ireland Walker Cup team. Scottish international Jack McDonald and his Irish international counterpart Cormac Sharvin will represent GB&I against the USA at the 45th Walker Cup match at Royal Lytham & St Annes from 12-13 September. The duo are both products of the University’s International Sports Scholarship Programme at Stirling, Scotland’s University for Sporting Excellence, and receive national scholarship support through Winning Students. Jack, who graduated with a BSc Hons in Applied Mathematics in June, has enjoyed a stellar amateur career, most recently helping Scotland become European Amateur Team Champions. The 22-year-old, from Kilmarnock said: "I’m so proud to have been selected to compete in such a prestigious competition. I played in the student equivalent, the Palmer Cup, and managed to help Team Europe to victory so I can call upon that experience and look forward to helping GB&I onto success." Victory in the English Men’s Open Strokeplay in June saw Cormac, 22, become the first Irishman since Rory McIlroy in 2006 to hold aloft the famous Brabazon Trophy. He also finished runner-up at the 2015 Lytham Trophy. Cormac, from Ardglass, took up golf aged 14 and has since surged into the top 20 players in the World Amateur Golf rankings. "It is really exciting news and I’m raring to go, especially with Jack [McDonald] on the team too," said Cormac, who starts his fourth year of a BA Hons in Sports Studies in September. "It’s a hugely demanding golf course, but one which suits my game and I can draw upon my recent performances there and give it my all." Walker Cup selection is widely recognised as the pinnacle of an amateur’s playing career and four Stirling alumni have previously represented GB&I: Colin Dalgleish (1981); Gordon Sherry (1995); Richie Ramsay and Gavin Dear (2009). Stirling Head Coach Dean Robertson said: “I had the honour of competing at a Walker Cup so I know just how special an experience it is and selection is fantastic reward for the continued effort both Jack [McDonald] and Cormac [Sharvin] have put in over many years. "The University of Stirling has a proud and long-established tradition in enabling talented young Scottish, British and international golfers to achieve their full potential and gain an academic degree and I’m sure the achievements of Jack and Cormac will inspire others to follow in their footsteps." 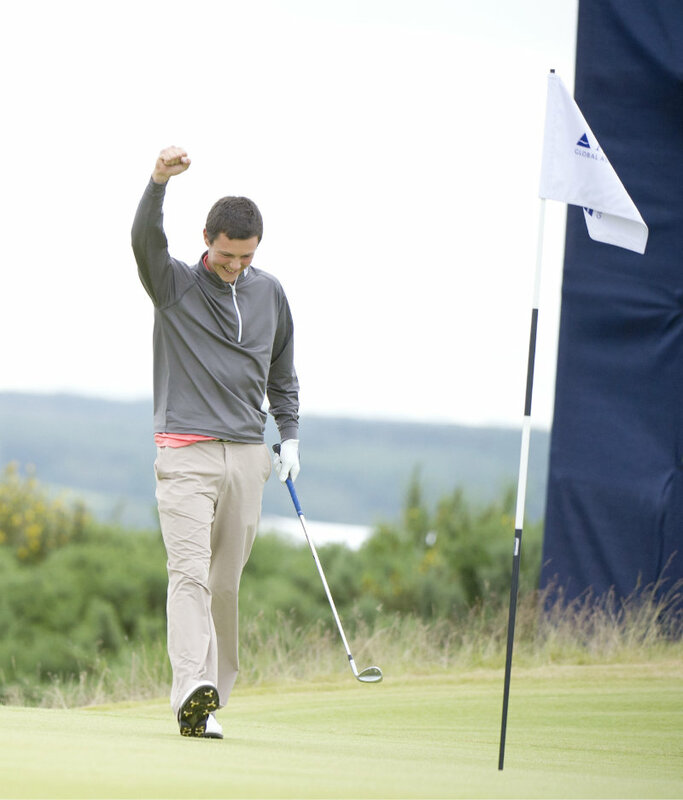 Find out more about golf scholarships at Stirling. Find out more about the GB&I Walker Cup team.